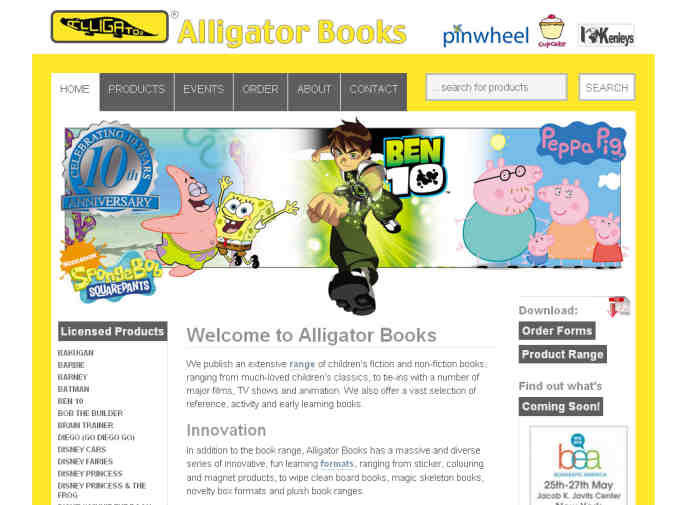 Brochure site for Alligator Books, a childrens’ book and stationery specialist. There are a lot of IE conditional comments used to create div elements around new HTML5 elements. Good use of aside for the sidebars and article for the main text.